We work in partnership with a range of other organisations to promote integration initiatives and to to keep integration on the political agenda. Anti-racism is an important part of our integration strategy. The Limerick Integration Working Group (IWG) was established in 2007 to bring together bodies working with or on behalf of migrants, minorities and the wider community, and to facilitate information sharing, strategy development (see Integration Plan below) and cooperation. The IWG is chaired by the Jesuit Refugee Service. An Garda Síochána, Ballyhoura Development Ltd., Citizens Information Board, City Community and Voluntary Forum, Limerick City AES, County Limerick VEC, Department of Education and Science (Mid-West), Department of Social Protection, Doras Luimní, Employment Services DSP, Health Service Executive, Jesuit Refugee Service Ireland (Chair), Limerick City & County Council, Limerick Filipino Community, Limerick Latvian Activity Centre, Limerick Volunteer Centre, New Communities Partnership, PAUL Partnership, University of Limerick and West Limerick Resources. Limerick is currently implementing its third integration plan, which was developed by the Limerick Integration Working Group and covers the timeframe 2018 to 2022. 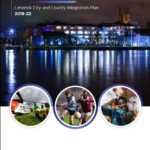 For more information on Limerick’s integration plans, click links below or download the reports from the side bar. BELONGING TO LIMERICK: LIMERICK CITY & COUNTY INTEGRATION PLAN 2018-2022 was developed by the IWG and launched on 28th September 2018 by Mayor of Limerick City and County Cllr James Collins, following a keynote address by President of Ireland Michael D. Higgins. The plan emphasises diversity advantage and the hugely positive contribution migrants bring to their new communities. 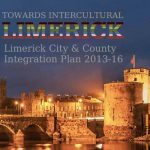 Towards Intercultural Limerick: Limerick City and County Integration Plan 2013-16 was developed by the IWG. Building on the progress achieved under the 2010-12 Plan, it seeks to take the next steps towards the development of Limerick as a truly welcoming, inclusive and intercultural region. The 2013 – 2016 Integration Plan for Limerick is available here. Integrating Limerick: Limerick City and County Integration Plan 2010-12 was developed by the IWG and was Limerick’s first integration strategy for the city and county. The 2010 – 2012 Integration Plan for Limerick is available here. Progress reports are produced by the IWG on an annual basis to monitor and map progress in implementing actions and reaching the agreed aims. Progress report are available to download here. Doras Luimní is leading the way for Limerick to become an Intercultural City as part of a European Council and European Commission funded programme. 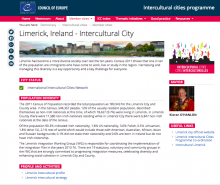 The Intercultural Cities initiative, which officially welcomed Limerick as a member in November 2014, aims at stimulating new ideas and practices concerning the integration of migrants and minorities. As part of the membership process, an evaluation was carried out in order to rank Limerick on the Intercultural Cities index, outlining key indicators of integration and intercultural practice. Doras Luimní are working closely with other cities around the world to promote a greater awareness of the positive role diversity can play in the development of a city. More about the programme can be found at www.coe.int/interculturalcities. The anti-rumours project was the first action of Limerick’s Intercultural Cities programme. As part of the campaign, Doras Luimní provided free training to a team of anti-rumours advocates who were given the necessary tools to carry out their own projects and workshops which challenge the most common myths. Anti-racism is an important part of our integration strategy. Doras is an active member of the Irish Network Against Racism (ENAR Ireland) which is currently campaigning for the introduction of policies and legislation to combat racism and hate crime. Local, national and European research has identified significant levels of racism in Ireland. However, reporting of racism is extremely low and Irish law does not define racist or related hate offences as specific offences. We promote reporting and recording by encouraging anyone affected by any form of racism or discrimination to make a formal complaint to the Gardaí, utilising a third-party reporting mechanism (www.ireport.ie) and offering advice, information and support. Doras Luimní research on the prevalence of racism and discrimination highlighted that 80% of our service-users in Limerick had experienced racism more than once. Racism occurs in public and private locations. Men, women and children are perpetrators of racism. 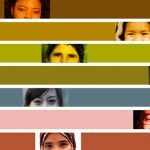 Men, women and children are victims of racism. Racism may take the form of physical or verbal hostility or aggression, exclusion from or denial of services and other actions/inactions. Institutional racism is a feature of services across a wide spectrum. Racism has serious consequences for individual victims and society as a whole. At the national level we are campaigning for improved structures, policies and laws. We coordinate with other organisations around the country as members of the Irish Network Against Racism (ENAR Ireland). We support the ENAR Ireland campaign calling for the introduction of Hate crime legislation in Ireland by enacting the Criminal Law (Hate Crime) Bill. Enacting this legislation send a strong message of support to our ethnic minority communities and would help Ireland to meet its EU and international obligations. To show your support for the campaign, sign the petition. Doras promote political participation among people from a migrant background in Ireland, as part of our integration efforts and to help ensure that all voices are heard in decision-making processes. In Limerick, Doras raise awareness and provide practical assistance for voter registration. We aim to raise awareness of voting rights and the political system in Ireland. If you are resident in Ireland, you have the right to vote in Local Elections, regardless of your immigration status. If you are an Irish citizen, you can also vote in the General (national) Elections. The next Local Election will be held on 29th May 2019. If you would like to register to vote in the next election, visit www.checktheregister.ie or call into the Doras office and we can help you through the process.